London's The Fireworks are all fuzz pop energy and sweet hooks, often at amphetamine speed and level 10 energy. Their 2015 LP Switch Me On dazzled us, and now they are back with a four song EP titled Black and Blue to prove that last year's quality was no accident. The record starts off above the speed limit with the pounding percussion and J&MC guitar blast of "All The Time". It is followed by the sweetly sad "The Ghost Of You", which provides ample evidence that this band can slay you as easily with a mid-tempo indie pop tune as with their trademark fuzz bombs. And speaking about fuzz bombs, "Bury Me" fills the room with a lovely pop tune wrapped in distorted guitars. "Go So Slow" closes Black and Blue in glorious fashion with elements of the three preceding songs, and may be the sleeper gem of the set. 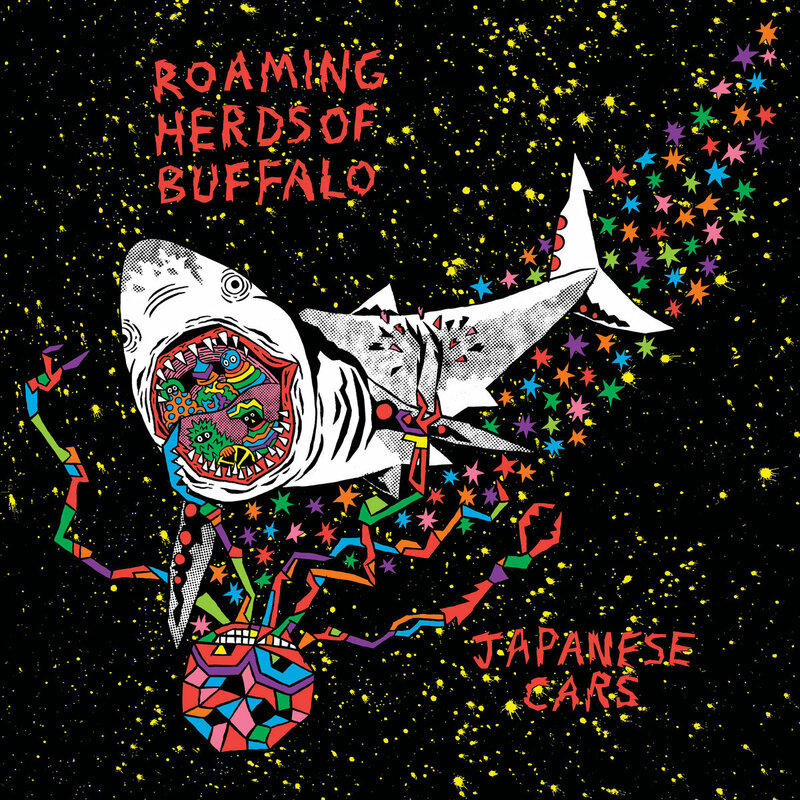 The EP is like a musical Red Bull for your spirit. And it is calorie-free! The Fireworks are Matthew Rimell, Isabel Albiol, Emma Hall, and Shaun Charman. Black and Blue EP is out today via Shelflife Records in digital and 10" vinyl formats. 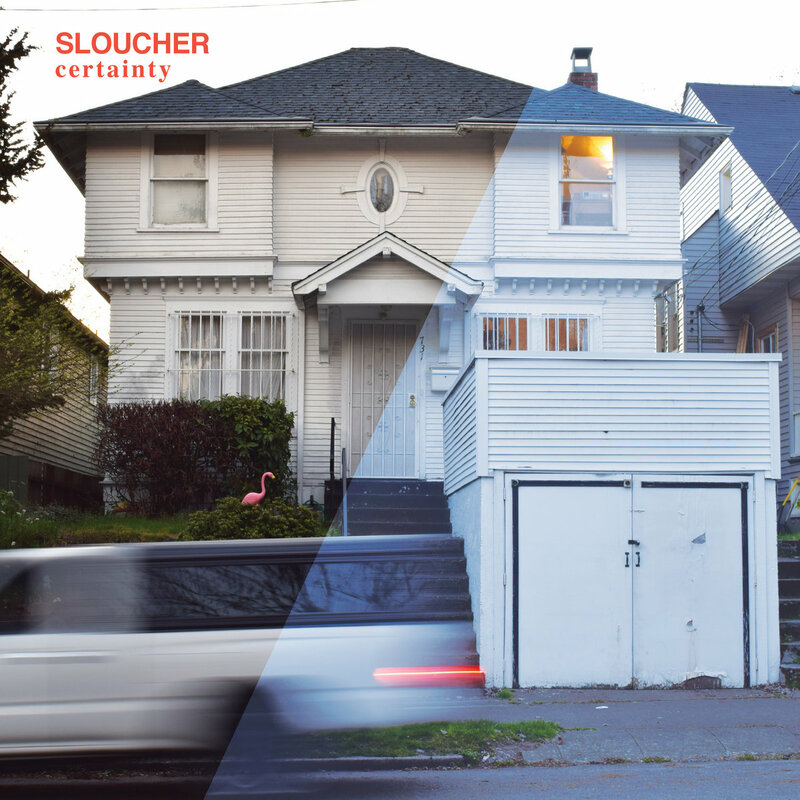 A few days ago I hadn't heard of Sloucher. But I am an admirer of Puget Sound label Swoon Records, and I'm familiar with Cayucas, Hibou, and The Globes, of which a couple of Sloucher have been members. So I thought it would provide a pleasant listen working through a long list of music that I need to cover. I pressed play on Certainty, their debut EP, and began doing other things. But "doing other things" quite quickly became "devoting full attention to some really, really good music". Headman Jay Clancy's songs are melancholy and melodic, with layered arrangements, a few country rock touches and enough distorted guitar to fit well in the Pacific Northwest musical scene. 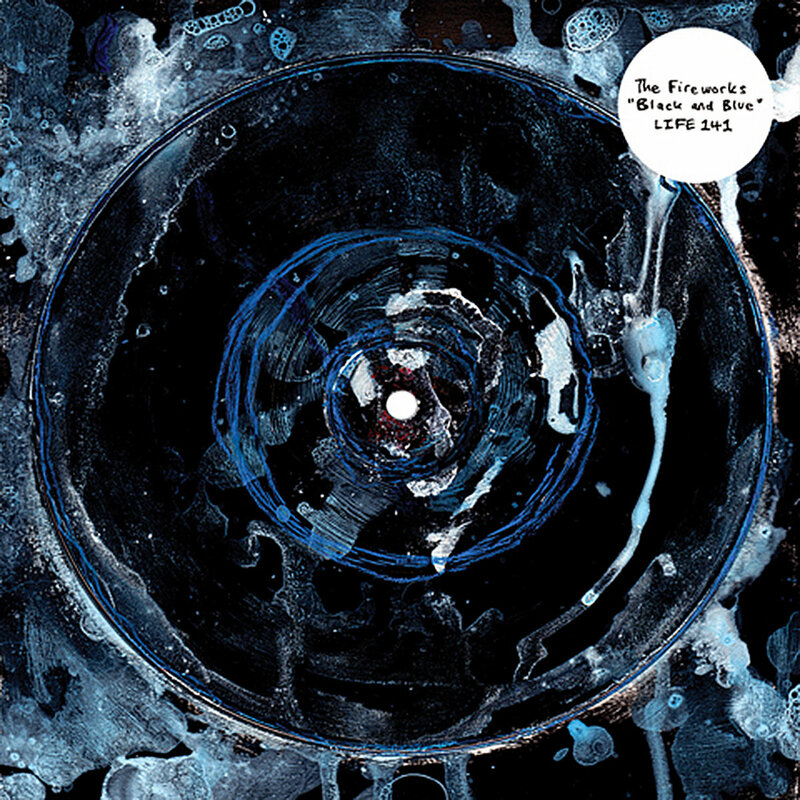 I found favorable echos of the work of Pavement, Elliott Smith and The Shins. As fleshed out by Clancy and his bandmates Kyle Musselwhite and Jack Hamrick, the seven tracks display delightful detail and nuance. Certainty has been occupying my ears steadily for a days, and I highly recommend it. A couple of fine tracks can be streamed below, and you can stream and order the EP at the Bandcamp link below. Scotdrakula's self-titled debut LP was one of my top thirty albums of 2014, so I'm thrilled that another album is on the way. Our first aural view is the fine "Skeleton Fever". We're advised that this is bass/keys wizz Dove Bailey's last work with the band, as he is headed to New York City. The band will continue, however, and we look forward to the album. Chris Stewart heads Black Marble, a synth pop project of considerable quality. He has announced a new album, It's Immaterial, for release on September 30, and has stoked our anticipation with "Iron Lung". Stream it below. It will make your day much better. The work will be released by Ghostly International. One of the highest compliments I can pay to a band is to write that after listening to their album I immediately want to find a show to listen to live music. And that is what happens when I listen to Searchlights, the fifth and latest album from DC's Dot Dash. More so than most rock bands Dot Dash has the ability to record music that manages to be amazingly visceral, evoking the feeling you get standing in front of a stack of speakers in a crowded club on a Saturday night. With a rhythm section that rumbles like a stream of semis going through your brain at 80 mph, a two-guitar assault and vocals that get more expressive and confident with each outing, Dot Dash always sounds live. And all that instrumental power provides the vehicle for delivering some great tunes. With a power pop love of a solid melody and good hooks, and long-time professionals' vocabulary of different rock genres, the four-piece packs Searchlights with fifteen songs that hit you with chunky chords, incisive riffs and pop passages from a wide selection of sub-genres. 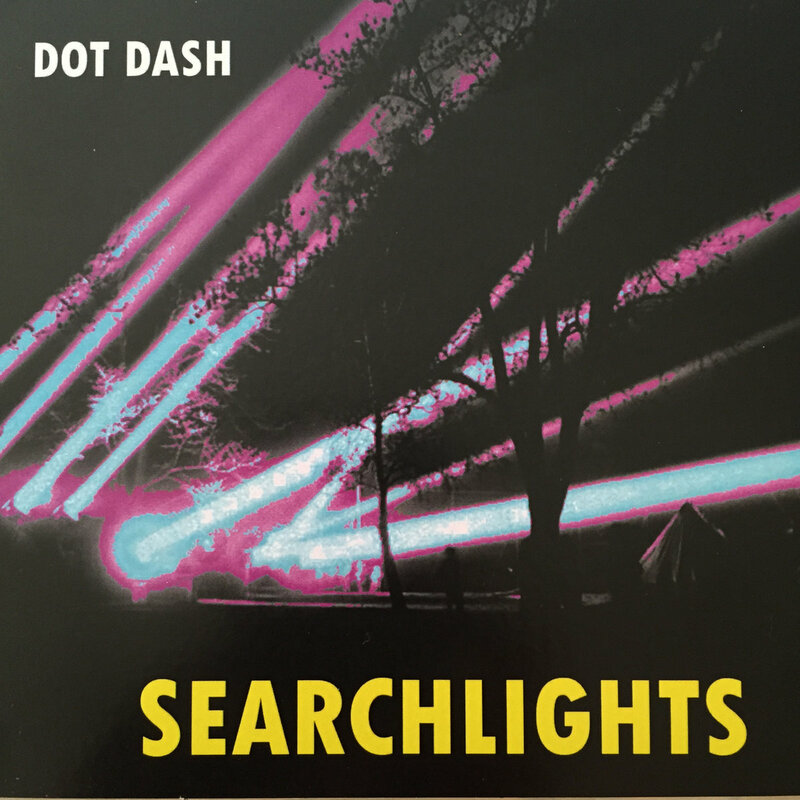 Dot Dash hasn't put out a mediocre album yet, but Searchlights is their most complete, consistent and, to my ears, most satisfying. It appears that a conscious decision was made to increase the rock muscle and leave a few ragged edges. The result is brilliant, as the approach adds immediacy and punch to the perfectly crafted power pop nuggets. You can listen to a few examples below, but I strongly suggest putting on your earphones and listening to the entire album at the Bandcamp link. Dot Dash are Terry Banks, Steve Hansgen, Hunter Bennett, and Danny Ingram. Searchlights is out now via This Is Beautiful Music. See the links below, and don't miss the special label offer linked at the bottom of the post. Fauna Twin are a French/Welsh duo made up of Claire Jacquemard and Owain Ginsberg. A debut EP via Belgian label Crammed Discs is coming in a few months, but you can hear the fruits of their collaboration on "Water On Mars", which has been released as a single. Their sound is dramatic pop meets singer-songwriter meets post-punk. It is atmospheric and dynamic, and we eagerly await the EP.